SEGGER has added a new Linker and Link-Time Optimization (LTO) to the latest release build of their its cross-platform integrated development environments, Embedded Studio for ARM and Embedded Studio for Cortex-M. The new product version provides a significant 5-12% reduction over the previous version on typical applications, and even higher gains compared to conventional GCC tool chains. These savings are the result of the new LTO, combined with SEGGER’s Linker and Run-time library emLib-C. Through LTO, it is possible to optimise the entire application, opening the door for optimisation opportunities that are simply not available to the compiler. A smaller executable can get the same thing done with less program memory (Flash), resulting in the ability to use smaller microcontrollers and potential cost savings. The Linker adds features such as compression of initialised data and deduplication, as well as the flexibility of dealing with fragmented memory maps that embedded developers have to cope with. Like all SEGGER software, it is written from scratch for use in deeply embedded computing systems. Additionally, the size required by the included runtime library is significantly lower than that of runtime libraries used by most GCC tool chains. Qualcomm Technologies has launched a family of 60GHz Wi-Fi chipsets, the QCA64x8 and QCA64x1, providing 10+ gigabit-per-second (Gbps) network speeds and wire-equivalent latency as well as sensing applications like proximity and presence detection, gesture recognition, room mapping with precise location and improved facial feature detection. Qualcomm Technologies is the first-to-market with a 60GHz Wi-Fi solution with optimizations based on the 802.11ay specification. Although the 60GHz has a limited range, the chips include always-on ambient Wi-Fi sensing capabilities, enabling devices to identify people, objects, movements and precise location without being affected by light conditions. Networking and mobile devices alike can take advantage of these new Wi-Fi sensing features to provide new and differentiated experiences to end users. The QCA6438 and QCA6428 are aimed at infrastructure and fixed wireless access, and the QCA6421 and QCA6431 at mobile applications. Facebook’s Terragraph technology is using the QCA6438 and QCA6428 chipsets for a multimode wireless access point. The QCA64x8 and QCA64x1 are available today and we will bring you details of the mobile chips when we have them. NXP has launched an edge intelligence environment called eIQ that provides a comprehensive machine learning (ML) toolkit with support for TensorFlow Lite, Caffe2, and other neural network frameworks, as well as non-neural ML algorithms. This will enable turnkey integrated ML solutions for voice, vision and anomaly detection applications, including data acquisition, trained models, with user feature customisation to use with NXP's EdgeScale software that provides secure device on-boarding, provisioning, and container management of ML applications targeting i.MX and Layerscape applications processors. The eIQ software environment includes the tools necessary to structure and optimise cloud-trained ML models to efficiently run in resource-constrained edge devices for a broad range of industrial, Internet-of-Things (IoT), and automotive applications. The turnkey, production-ready solutions are specifically targeted for voice, vision, and anomaly detection applications. By removing the heavy investment necessary to become ML experts, NXP enables tens of thousands of customers whose products need machine learning capability. "Having long recognised that processing at the edge node is really the driver for customer adoption of machine learning, we created scalable ML solutions and eIQ tools, to make transferring artificial intelligence capabilities from the cloud-to-the-edge even more accessible and easy to use," said Geoff Lees, senior vice president and general manager of microcontrollers. Building on the eIQ environment, the company introduced turnkey solutions for edge-based learning and local execution of vision, voice, and anomaly detection models. These system-level solutions provide the hardware and software necessary for building fully functional applications, while allowing customers to add their own differentiation. The solutions are modular, making it easy for customers to expand functionality of their products with a simple plug-in. For example, a voice recognition module can be easily added to a product that has NXP's vision recognition solution. Demonstrations include facial recognition training on high-performance i.MX 8QM and deployment of extracted inference engines on mid-range i.MX 8QXP and i.MX 8M applications processors using secure docker containers, as well as CMSIS-NN performance benchmarking using CIFAR-10 on just-announced LPC5500 MCUs and anomaly detection with classical machine learning techniques using Cortex-M4F based Kinetis MCUs. Localized voice and vision ML applications include voice-enabled solution for localised wake word and end-user programmable voice control experience also using i.MX RT1050 crossover processor and vision systems with theAu-Zone DeepView ML Kit using i.MX 8QM implemented in a microwave oven and traffic sign recognition using low-cost i.MX RT 1050 crossover processor. Despite the move to rebranding WiFi generations, Chinese chip maker SiFlower Communication Technology is using the RivieraWaves RW-11AC Wi-Fi IP cost-effective access point system on chip (SoC). SiFlower’s SF16A18 is a highly integrated single chip that combines the RW-11AC IP with a dual-core CPU and rich suite of interfaces (Ethernet, GMAC, USB, SD, IIS), creating an optimal platform for intelligent routers / access points, smart home gateways and smart speakers. CEVA’s RivieraWaves Wi-Fi IP family offers a comprehensive suite of platforms for embedding Wi-Fi 802.11a/b/g/n/ac/ax into SoCs/ASSPs. Optimized implementations are available targeting a broad range of connected devices, including smartphones, wearables, consumer electronics, smart home, industrial and automotive applications. CEVA also offers RISC-V based fully integrated platforms. Shanghai SiFlower Communication Technology was formally incorporated in 2014 and is headquartered in Zhangjiang Hi-Tech Park, Pudong, Shanghai, developing deciecs for the Internet of Things (IoT). NXP Semiconductors is pushing the embedded security requirements of IoT edge devices and cloud to edge connections with two new multi-core microcontrollers based around the Arm Cortex M33 core. NXP is emphasising its multi-layered, hardware-enabled protection scheme that protects embedded systems with secure boot for hardware-based immutable root-of-trust, certificate-based secure debug authentication and encrypted on-chip firmware storage with real-time, latency-free decryption. These are used alongside Arm TrustZone for Armv8-M and Memory Protection Unit (MPU) to ensure physical and runtime protection with hardware-based, memory mapped isolation for privilege-based access to resources and data. The key to this is a ROM-based secure boot process that uses device-unique keys to create an immutable hardware ‘root-of-trust’. The keys can now be locally generated on-demand by an SRAM-based Physically Unclonable Function (PUF) that uses natural variations intrinsic to the SRAM bitcells. This permits closed loop transactions between the end-user and the original equipment manufacturer (OEM), thus allowing the elimination of third-party key handling in potentially insecure environments. Optionally, keys can be injected through a traditional fuse-based methodology. NXP is also working with Dover Microsystems to introduce Dover’s CoreGuard technology in future platforms. This is a hardware-based active defense security IP that instantly blocks instructions that violate pre-established security rules, enabling embedded processors to defend themselves against software vulnerabilities and network-based attacks. The security environment improves the symmetric and asymmetric cryptography for edge-to-edge, and cloud-to-edge communication by generating device-unique secret keys through innovative usage of the SRAM PUF. The security for public key infrastructure (PKI) or asymmetric encryption is enhanced through the Device Identity Composition Engine (DICE) security standard as defined by the Trusted Computing Group (TCG). SRAM PUF ensures confidentiality of the Unique Device Secret (UDS) as required by DICE. The newly announced solutions support acceleration for asymmetric cryptography (RSA 1024 to 4096-bit lengths, ECC), plus up to 256-bit symmetric encryption and hashing (AES-256 and SHA2-256) with mbedTLS optimized library. NXP strategically chose the Cortex-M33 core for its first full-feature implementation of the Armv8-M architecture to provide security platform benefits and substantial performance improvements compared to existing Cortex-M3/M0 MCUs (over 15 to 65 percent improvement, respectively). One of the key features of the Cortex-M33 is the dedicated co-processor interface that extends the processing capability of the CPU by allowing efficient integration of tightly-coupled co-processors while maintaining full ecosystem and toolchain compatibility. NXP has used this capability to implement a co-processor for accelerating key ML and DSP functions, such as, convolution, correlation, matrix operations, transfer functions, and filtering; enhancing performance by as much as 10x compared to executing on Cortex-M33. The co-processor further leverages the popular CMSIS-DSP library calls (API) to simplify customer code portability. The LPC5500 devices provide single and dual core Cortex-M33 in a 40nm process with integrated DC-DC that delivers industry-leading performance at a fraction of power budget, up to 90 CoreMarks/mA. The high density of on-chip memory, up to 640KB flash and 320KB SRAM, enables efficient execution of complex edge applications. Further, NXP’s autonomous, programmable logic unit for offloading and execution of user-defined tasks delivers enhanced real-time parallelism. The i.MX RT600 crossover Platform is aimed at real time machine learning and artificial intelligence by adding a 600MHz Cadence Tensilica HiFi 4 DSP and shared on-chip SRAM of up to 4.5MB to a 300MHz M33 with a wide operating voltage. The ML performance is further enhanced in the DSP with 4x 32-bit MACs, vector FPU, 256-bit wide access bus, and DSP extensions for special Activation Functions (e.g., Sigmoid transfer function). MathWorks has launched a toolbox for its Matlab tool that standards compliant waveforms and reference examples for modeling, simulation, and verification of the physical layer of 3GPP 5G New Radio (NR) communications systems. This will allow engineers using 5G Toolbox can quickly design critical algorithms and predict end-to-end link performance of systems that conform to the 5G Release 15 standard specification, starting the move to commercial system rollout in 2019. They can now use the toolbox for link-level simulation, golden reference verification, conformance testing, and test waveform generation – without starting from scratch. 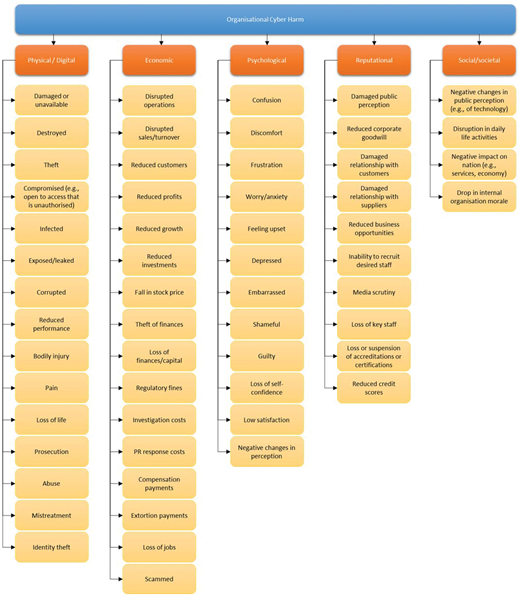 The 5G Toolbox joins other toolboxes for LTE and WLAN standards, simulation of massive MIMO antenna arrays and RF front end technologies, over-the-air testing, and rapid prototyping of radio hardware. Researchers at Drexel University’s College of Engineering have developed a technique for spraying invisibly thin antennas, made from a type of two-dimensional, metallic material called MXene, that perform as well as those being used in mobile devices, wireless routers and portable transducers. MXene titanium carbide can be dissolved in water to create an ink or paint and the high conductivity allows the printed structures to transmit and direct radio waves. Initial testing of the sprayed antennas suggest that they can perform with the same range of quality as current antennas, which are made from familiar metals, like gold, silver, copper and aluminum, but are much thicker than MXene antennas. Making antennas smaller and lighter has long been a goal of materials scientists and electrical engineers, so this discovery is a major step in reducing their footprint as well as broadening their application. “Further research on using materials from the MXene family in wireless communication may enable fully transparent electronics and greatly improved wearable devices that will support the active lifestyles we are living,” said Anasori. General Micro Systems (GMS) has launched a rugged, conduction-cooled, commercial off-the-shelf (COTS) deep learning/artificial intelligence (AI) mobile system that offers real-time data analysis and decision in hostile environments. GMC claims this is an industry first for deep learning and artificial intelligence, as the X422 includes no fans or moving parts, promising wide temperature operation and massive data movement via an external PCI Express fabric in ground vehicles, tactical command posts, UAV/UAS, or other remote locations. It uses the company’s patented RuggedCool thermal technology to adapt the GPGPUs for harsh conditions, extending the temperature operation while increasing environmental MTBF. The X422, which is approximately 12x12 inches square and under 3 inches high, includes dual x16 PCIe Gen 3 slots for the GMS-ruggedized PCIe deep learning cards. Each card has 5120 CUDA processing cores, giving X422 over 10,200 GPGPU cores and in excess of 225 TFLOPS for deep learning. 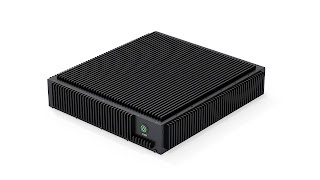 In addition to using Nvidia GPGPU co-processors, the X422 can accommodate other co-processors, different deep learning cards, and high-performance computers (HPC) based upon FPGAs from Xilinx or Altera, or ASICs up to a total of 250 W per slot (500 W total). Another industry first brings I/O to X422 via GMS’s FlexVPX bus extension fabric. 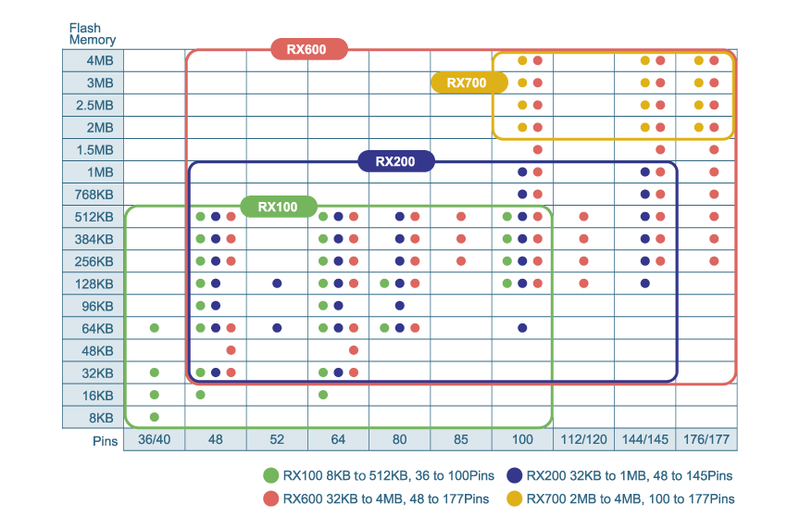 X422 interfaces with servers and modules from GMS and from One Stop Systems, using industry-standard iPass+ HD connectors offering x16 lanes in and x16 lanes out of PCI Express Gen 3 (8 GT/s) fabric for a total of 256 GT/s (about 32 GB/s) system throughput. X422 deep learning co-processor systems can be daisy-chained up to a theoretical limit of 16 chassis working together.
. Zinc air battery maker to start mass production. Trendforce has identified ten key theme for tech in the coming year, from 3D memory chips and the 5G rollout to smart grids and smart speakers. The memory industry will show acceleration and evolution, driven by next-generation products and advanced die-stacking technology. Manufacturers have applied through-silicon via (TSV) techniques for chip stacking, and launched High Bandwidth Memory (HBM) in order to increase the throughput within a single package, overcoming the limits of bandwidth. In addition to saving space in the package, next-generation products are also intended to meet the demand from edge computing applications, which require shorter reaction time and different structures. Compared with existing DRAM products, next-generation solutions may fit into different architectures, for example, in the embedded systems, memory products are closer to CPU. The solutions may also offer significant performance improvements, such as power saving resulted from the non-volatility of memory. Deployment of optical communication infrastructure, the foundation of 5G network, has been ongoing in the past years. The 5G architecture has been gradually expanded from backbone network to metropolitan area network and access network, providing 5G-compatible bandwidth at a low cost. Commercialization of 5G is expected to roll out in 2019, with 5G telecom services to be launched in United States, South Korea, Japan, and China. Smartphones and other devices supporting 5G technology are also expected to be available some time in 2019. The major advances in 5G mobile wireless solutions will support higher bandwidth and faster connection, enriching the telecom ecosystems. The arrival of 5G may also generate demand for a wider range of technology-based services, including high resolution (4K/8K) of video, mobile AR/VR gaming and immersive multimedia applications, industrial automation, telesurgery robots, massive Internet of Things, and automated control of vehicles, etc. With increasing demand from smartphone vendors, design houses have invested heavily to increase the yield rates of fingerprint sensors and seek more cost-effective solutions. Optical under-display fingerprint sensors are normally found in flagship smartphones currently, but are expected to be embedded in mid and high-end Android models in the coming year. Ultrasonic in-display fingerprint sensors also have a chance to be adopted by Android phone vendors. TrendForce estimates that ultrasonic and optical under-display fingerprint sensors will account for 13% of all fingerprint sensor technologies in 2019, significantly up from 3% in 2018. Particularly, some design houses also consider moving the fingerprint sensors to the very edge of the screen, trying to break through the bottlenecks of technology and yield rates. The edge solutions may change the landscape of industry if they manage to hit the market in the next few years. However, the target market and acceptance of products remain to be seen. Wind River has been working with UK telecoms provider BT on edge cloud computing applications at the basestation rather than the data centre. It has developed a proof of concept platform with an edge cloud compute node using the Titanium Cloud virtualization platform running on a BT cellular basestation, with the local traffic offload capability coming from Athonet, a software-based mobile core provider. 5G applications will require locating compute power and capacity close to where the traffic originates, whereas application logic has traditionally resided in the data centre. However, 5G applications such as those for autonomous driving or Industrial IoT, where physical controls require extremely low latency, will demand diverse network locations for their logic. In these cases, computing will often need to happen much closer to the end device. The WiFi Alliance is changing the way WiFi is labelled to make it less confusing for consumers and it says to enable users to easily differentiate between technologies. While the move to Wi-Fi 6 as the name for 802.11ax will help the upgrade cycle, it risks minimising the impact of other technologies that embedded engineers rely on. This is vitally important, as the Alliance points out that Wi-Fi carries more than half of the internet’s traffic in an ever-expanding variety of applications that billions of people rely on every day. The generational terminology may also be used to designate previous Wi-Fi generations, such as 802.11n or 802.11ac, but doesn't necessarily take into account variations on the standard such as 11ad and the emerging 802.11ay for example, With 5G cellular moving to protocols that operate across a wider range of frequencies, Wi-Fi is already doing the same. Wi-Fi that operates in the millimetre band is very different from Wi-Fi 6 at 2.4GHz and 5GHz and potentially different again from Wi-Fi 6 at 7GHz. This is a natural consequence of running out of letters at 802.11az. So almost certainly we will see more brand diversification with Wi-Fi 7 Max or Plus and we are effectively back to the days of Wi-Fi vs W-Gig. In addition to describing the capabilities of the device, device manufacturers or OS vendors can incorporate the generational terminology in User Interface (UI) visuals to indicate the current type of Wi-Fi connection. The UI visual will adjust as a device moves between Wi-Fi networks so users have real-time awareness of their device connection. Certification programs based on major IEEE 802.11 releases will use a generational Wi-Fi name; Wi-Fi CERTIFIED 6 certification is coming in 2019. Since 2000, the Alliance has completed more than 40,000 certifications to demonstrate interoperability, backward compatibility and the highest industry-standard security protection. Naturally there's plenty of industry support for Wi-Fi 6 from consumer-facing organisations. But there's also support from the IP and chip companies. “CEVA welcomes the introduction of the clear terminology. We have been licensing MAC and Modem IP for many years and across many generations of the technology spanning 802.11a/b/g/n/ac/ax. The new naming structure gives a simple and consistent framework to boost user awareness, which is especially important now at the dawn of Wi-Fi 6,” said Aviv Malinovitch, GM of the Connectivity BU at IP supplier CEVA. Similarly Intel and Marvell have supported the move, although both keep referencing 802.11ax alongside Wi-Fi 6, highlighting the need for engineers to keep using the IEEE 802.11 names to be truly informed.